Researchers have directly imaged a very rare type of brown dwarf, opening the door towards a fuller understanding of exoplanets. 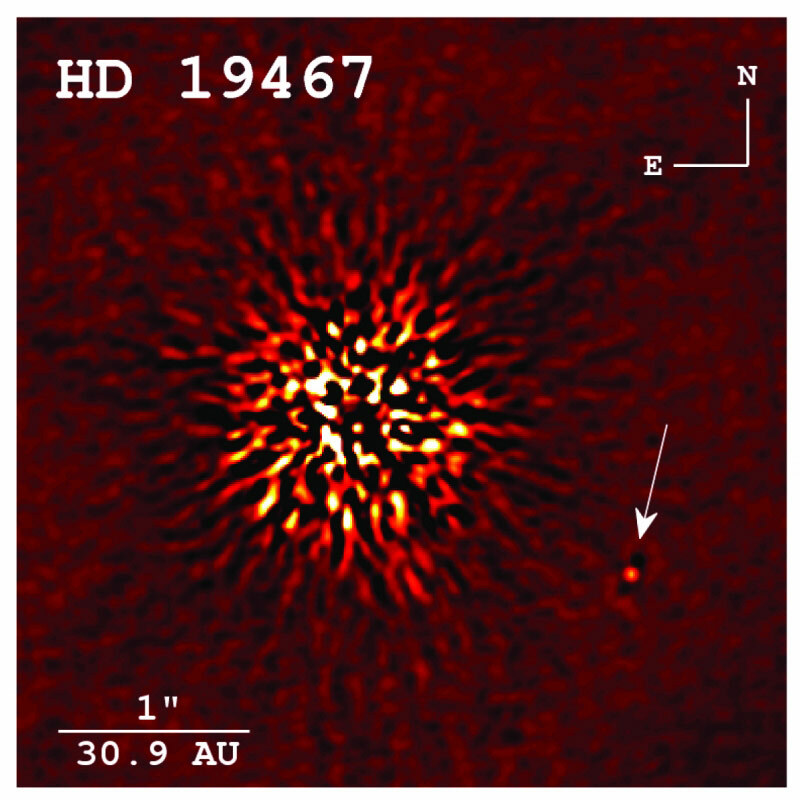 Mauna Kea, Hawaii – A team of researchers led by Justin R. Crepp, the Freimann Assistant Professor of Physics at the University of Notre Dame, has directly imaged a very rare type of brown dwarf that can serve as a benchmark for studying objects with masses that lie between stars and planets. Their paper on the discovery was published recently in Astrophysical Journal. The W. M. Keck Observatory operates the largest, most scientifically productive telescopes on Earth. The two, 10-meter optical/infrared telescopes on the summit of Mauna Kea on the Island of Hawaii feature a suite of advanced instruments including imagers, multi-object spectrographs, high-resolution spectrographs, integral-field spectroscopy and world-leading laser guide star adaptive optics systems. The Observatory is a private 501(c) 3 non-profit organization and a scientific partnership of the California Institute of Technology, the University of California and NASA. Be the first to comment on "T-Dwarf Provides Benchmark for Future Exoplanet Research"